The video is a large file, so you have to download it to your computer. Click through to this flickr comment stream, for a link posted by franjmc. "1. To make sure that the styrofoam egg will fit the JEM easy rose cutter. Bring along your cutter, so that you are buying the right size of styrofoam egg. Well at least with the two largest easy rose cutters 100mm and 110mm. 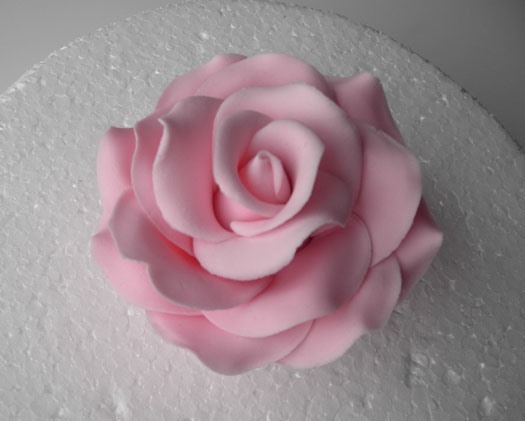 For smaller roses use smaller easy rose cutters, rose petal cutters and make the cone out of gumpaste instead. 2. 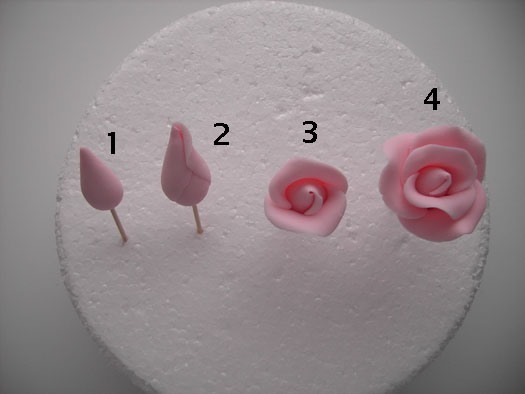 A block of styrofoam is great to place the wired rose cones in the start of the process. Later the roses need to hang upside down to dry through the process so make sure that you have either a broomstick or anything similar ready before you start on the roses (I just use my small drying rack for my roses). 3. The thin piece of foam that is used in the video is a great "helping hand" when attaching the rose petals. 4. 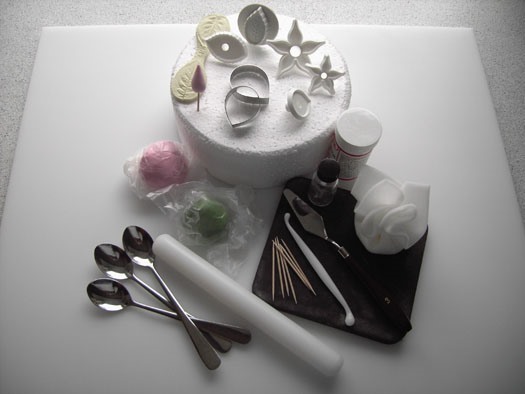 I use the rose petal cutter set from TinkerTech Two wich is really nice and dont forget to use the tylo glue." 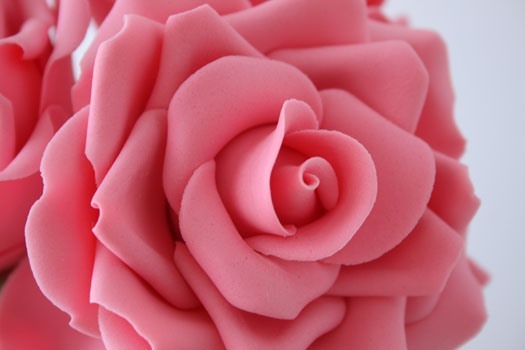 NOTE: if you're having trouble downloading the video, Cake Journal has their own HowTo on gum paste roses. Click through. PLUS! One more via WonderHowTo. 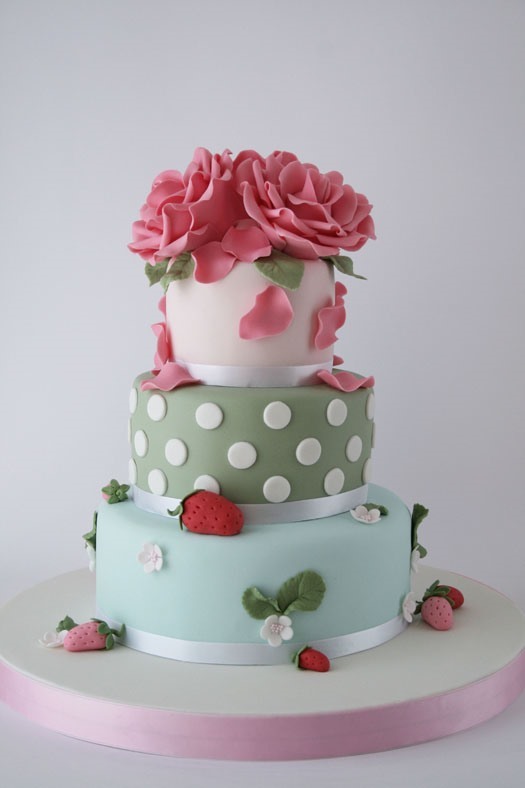 I just love the cake you made here and want to make it myself for my mothers 70th birthday. 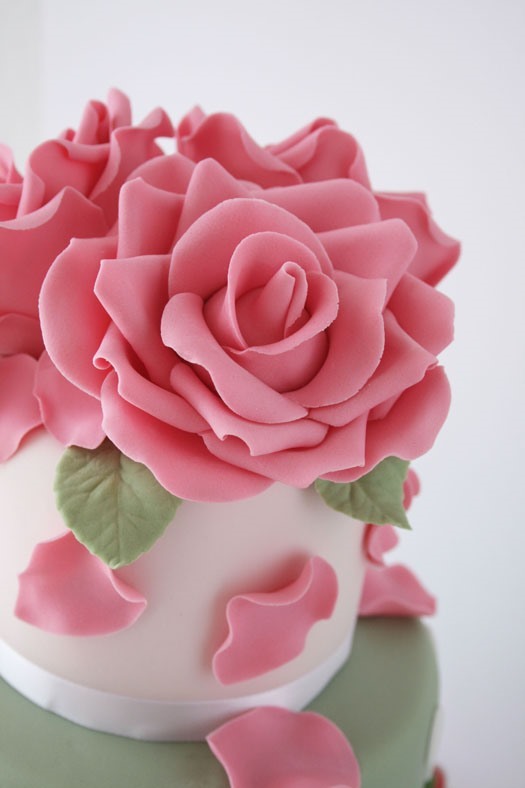 The colour of the layers of cake are gorgeous but I am having difficulty with choosing sugar paste colours. Can you advise me of the colours you used to make the green and blue layers. Thank you so much. I am only a begining and not so good at mixing the colours yet.